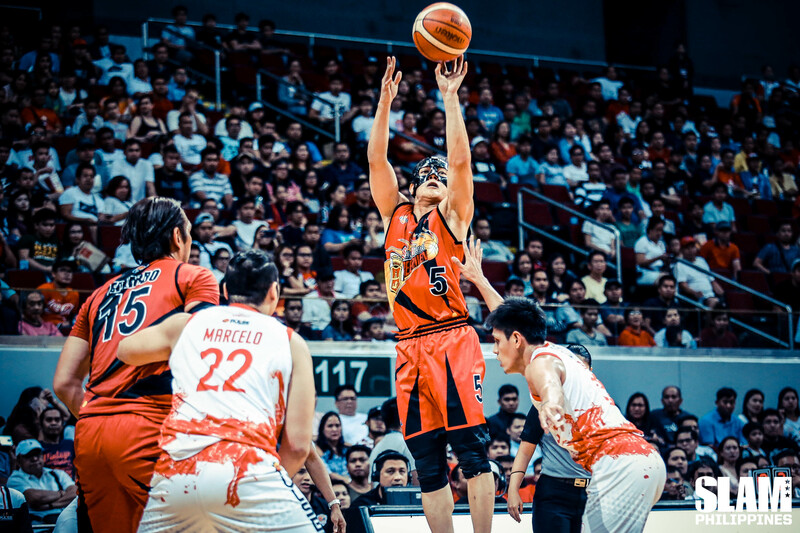 The San Miguel Beermen weathered a late rally by the Phoenix Fuel Masters to win Game 1 of their Semifinals series. The Beermen had one more late run in them as they pulled away to win, 100-88. They take a 1-0 lead in their best-of-seven series. Alex Cabagnot torched the Fuel Masters with 26 points built on five three-pointers. He completed his well-rounded stat line with five rebounds, seven assists and three steals. Christian Standhardinger jumped in when June Mar Fajardo got injured and contributed 12 points and 16 rebounds. Chris Ross and Marcio Lassiter had 14 points each. Matthew Wright led Phoenix with 22 points. The Beermen turned the game around in the second period. After falling behind by six points in the first period, they outscored the Fuel Masters 28-12 to take a 10-point lead heading into the half. The telling run came midway in the second period. Sparked by Fajardo’s back-to-back baskets, the Beermen went on a 12-2 run that turned a three-point lead into a 12-point advantage. Ross, Cabagnot and Arwind Santos closed the run with big baskets of their own, after Fajardo left midway through the run after he fell face first to the floor. San Miguel continued to add to their lead in the third period. The Beermen starters led by Cabagnot went on an 18-5 run midway through the third period. They turned an 11-point advantage into a 24-point lead, their biggest of the game. San Miguel took a seemingly safe 22-point lead heading into the fourth period. The Fuel Masters refused to go without a fight. Calvin Abueva led a comeback by the Phoenix bench to open the fourth period. They went on a 13-2 run to the cut deficit down to just nine. They got as close as seven points midway through the final period after an Alex Mallari jumper. Cabagnot played big in the final minutes of the game. He capped a 7-1 run to restore a 13-point lead with a little over two minutes left in the game. That was enough of a cushion to seal the win.